After the volcano, we drive through the Snæfellsjökull National Park to see to the cave Vatnshellir, the Water cave, 8,000-year old lava tube that contains multiple caverns and is situated 32 meter below the Earth’s surface. 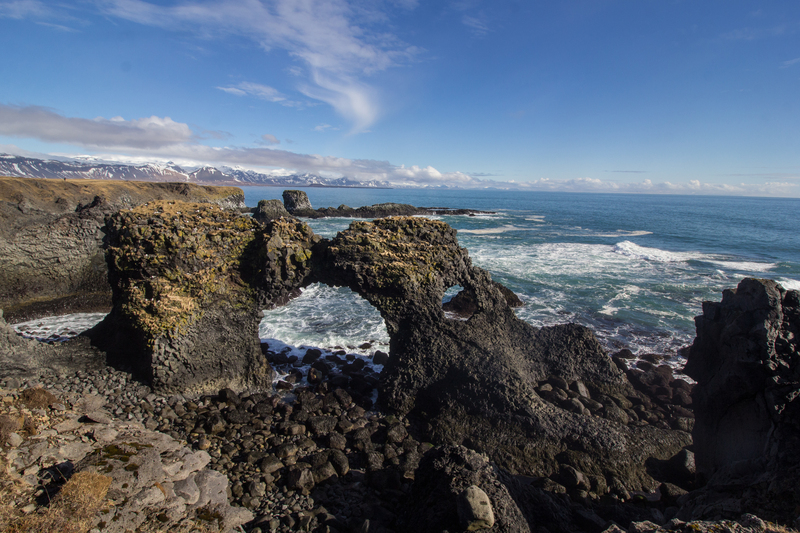 We will go to the beach Djúpalónssandur, with its dramatic rock formations. Djúpalónssandur beach is one of the highlights of Snæfellsnes peninsula wonders.